Many of you may already know that the city of Powder Springs is buying the building where our business has been located for 18 years (28 total years in Powder Springs). Because of this, we are being forced to move out of our current office. 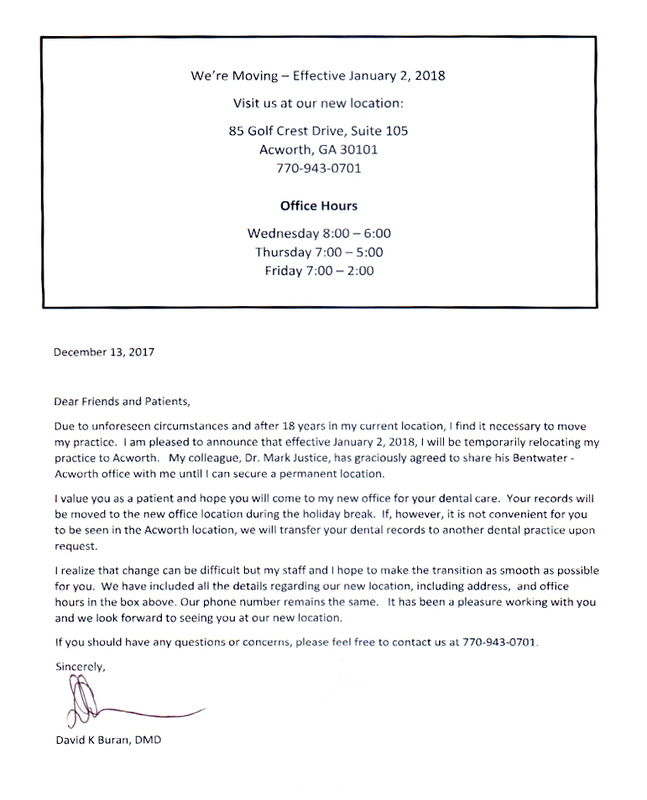 We will be moving to our temporary location effective January 3. Dr Mark Justice is being generous enough to let us share his office space in his Bentwater Village location. Our phone number will remain the same. Please call if you have any comments or questions. Thank you for your confidence and trust in our practice. We appreciate each of you.